Emma is a foster kid. She's been tossed around from home to home ever since her mother abandoned her. In her latest home, the mother agreed to let her stay and finish out her Senior year, even though Emma will turn eighteen soon. However the foster mom's real son isn't too keen on sharing with Emma and frames her for some money he stole from his mom. On top of that he found an online video of a girl being strangled, a girl who looks exactly like Emma, and the foster mom doesn't like this one bit. Emma, however is intrigued, she has to find out who this girls is, it could be her long lost sister...if she wasn't already dead. Now instead of finding a a long-lost sister, Emma must find her sister's killer, who is watching her every move. So far, after reading this book one of the new series, I'm not as engrossed as I was with Pretty Little Liars. This is still a very intriguing storyline and I am certainly willing to play along and find out who killed who and what everyone knows. It's very mysterious how no one notices that Emma is not her sister. I am very interested to see who knows that she's a fake and who just really can't tell there is a difference between the two of them. There's not a whole lot I can say without ruining the book. I am dying to read Never Have I Ever though. Speaking of which, I really enjoyed that they played that game in this book. Except it just adds to the question of whether or not anyone knows that Emma is not her sister. I mean there were many times she "had" done things but didn't know it so you would think someone would find that odd. If you enjoyed Pretty Little Liars, I'm sure you are going to check this one out and you definitely should. 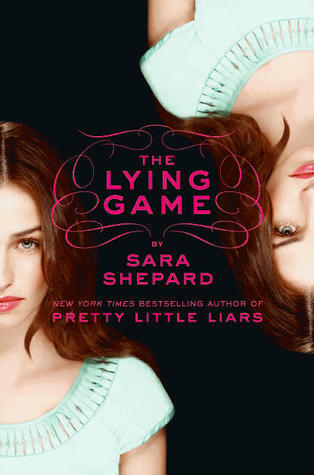 If you haven't tried Sara Shepard yet and you like mysteries and suspense, you should make sure to pick this one up. "I woke up in a dingy claw-foot bathtub in an unfamiliar pink-tiled bathroom." "Emma watched helplessly as her tattered copy of The Sun Also Rises landed on a dusty anthill."